More details will arrive this summer surrounding the conference and how you can get involved. Until then, my focus is squarely on delivering our jam-packed 2019 in-person offerings and virtual learnings (See Events). 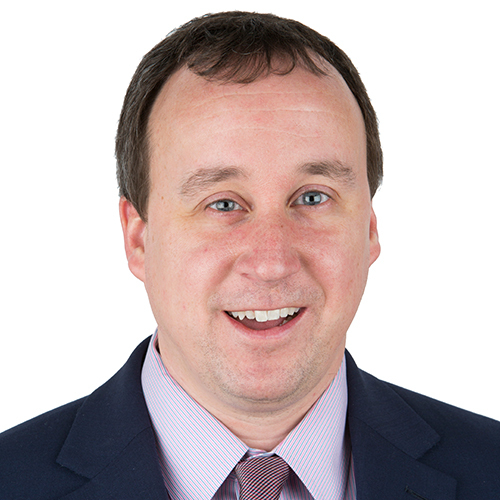 I’m also working to support our ongoing effort to Reimagine Council Membership, intended to reshape the dues structure and community foundation value-proposition to benefit existing and future members of the Council. Thanks for all you do in advancing community philanthropy. Keep inspiring others to do good and I hope to see many of you in a few weeks at our Leading Together 2019 conference in Miami. 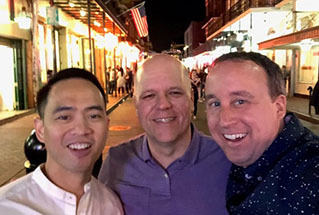 This week a selfie captured Bryan Del Rosario, Council Attorney; Eric Hozempa, Longmont Community Foundation and AdNet Conference Chair; and me in New Orleans during the AdNet Conference, where 200 community foundation development professionals came together to network, learn, and embrace change. I’ll be in DC next week (Apr 16-18) before heading to Miami (Apr 29-May 1) for our Leading Together Conference. Looking forward to seeing over 150 community foundation leaders at the conference of 800 attendees and partners! When we gather in Miami in a few weeks for our upcoming Leading Together Conference, I’m excited to discuss the massive pressures weighing down our communities, but the power of our sector to alleviate and propel us forward. Prior to the start of Leading Together 2019, in the afternoon of April 29 (Noon-5 pm), there are several pre-conference sessions.I’ll be leading the session U.S. Communities in Crisis and welcome attendees to join. This session features several community foundation and sector leaders and influencers including, Mark Brewer, Central Florida Foundation; Sabrina Wu, East Bay Community Foundation; Scott Hansen, Board Chair, Ventura County Community Foundation; Brennan Gould, Charlottesville Area Community Foundation; and Isaiah Oliver, Community Foundation of Greater Flint. Focused on telling the community foundation story as critiques against organized philanthropy intensifies—how should community foundations position their work and show their value? In addition, we will be joined by resource partners, CFLeads, CFInsights, CEONet Affinity Group, National Standards Board Chair, and Council’s Policy Advisors and Technology Teams to discuss trending issues and solutions. The Council is monitoring the progress of recently amended California AB 1712, a bill that would require new reporting from charities that sponsor donor advised funds. The Council is working with the League of California Community Foundations, Philanthropy California and others to properly respond to this proposed legislation. Require the California Attorney General’s office to enact rules and regulations that would require charities that sponsor donor advised funds to provide information about individual funds or accounts. The values of donor advised fund assets invested in mutual funds or other vehicles in entities controlled or under common control with an entity that provides administrative or investment services to the donor advised fund sponsor. This proposed State legislation demonstrates the importance of recently enacted Active Funds Policy recommendations by National Standards, and the relevance of the Council’s federal public policy team monitoring activities happening locally that could have ripple effects across the country. Continue to monitor the Washington Snapshot for ongoing developments.